Welcome to WorkinMan Property Inspections ! An inspection is visual and non-invasive. Inspectors do not tear down walls to see what is behind them. Tools like the moisture meter and thermal imaging camera help to recognize what the eye can't see. As a certified and licensed professional, it is my job to work with you and help you to understand everything about the structure. The BEST inspection takes time, experience, and having the right tools for the job. Contact us at 443-829-5828 or email me today to discuss your purchase before you sign on the dotted line. DID YOU BUY A NEW HOME IN THE LAST YEAR? There is no such thing as a perfect home, and even the best of builders make mistakes. Fortunately, you have a one year window of opportunity to have these mistakes repaired by the builder at no cost to you. This is the warranty period. 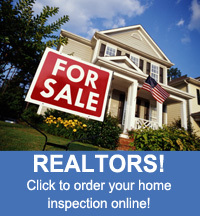 This is also the perfect time to have your home inspected. The price of my inspection will more than pay for itself when compared to the repair costs that come after the first year. Many builder errors can be missed, overlooked, or explained away by the builder. Before your one year warranty is up, make time to have me inspect your home. Many folks have saved thousands of dollars by using my services. I’ve uncovered mold, poorly constructed roofs including leaks, shortcuts taken by electricians and plumbers, and a world of other things that get missed. Why spend your money when you can have the repairs done by the builder for free? Free repairs add up to big savings!